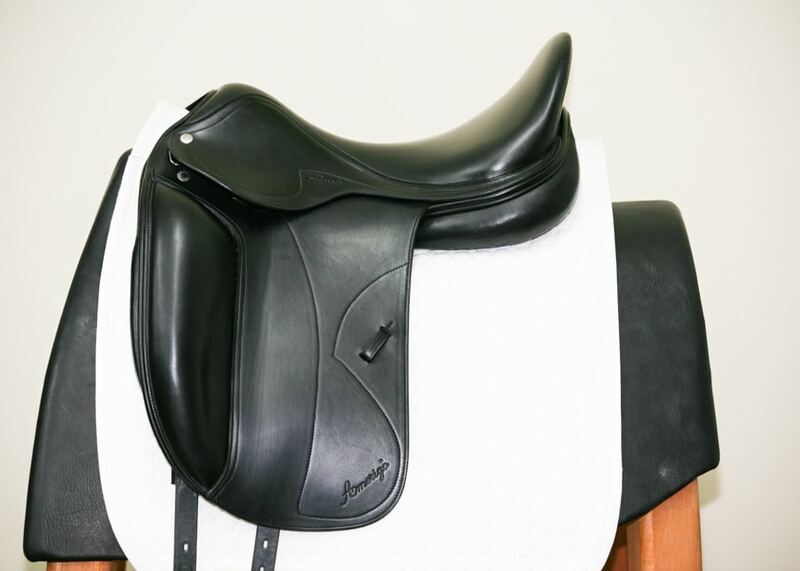 Special order options: This saddle may be ordered with cowhide (rather than calfksin) leather for $5,500.00. 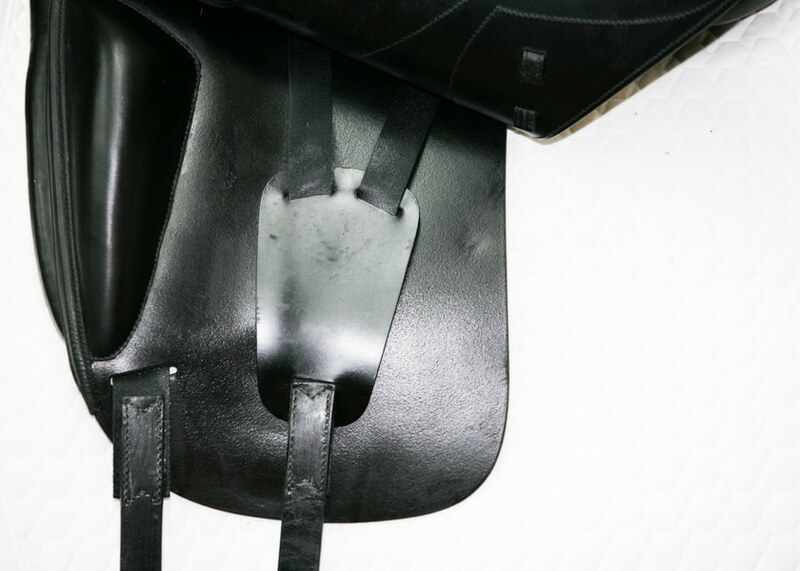 As with all Amerigo saddles, the Cortina Dressage may be ordered with custom options for flaps, tree width, panel density, and more. Please contact us for more information. 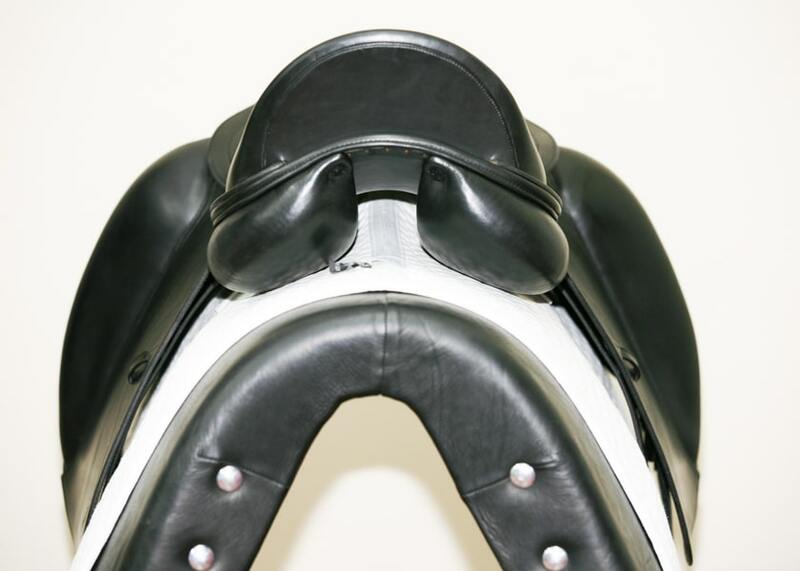 Peter Menet’s first priority as a saddle designer is to create saddles that allow horses to move freely. 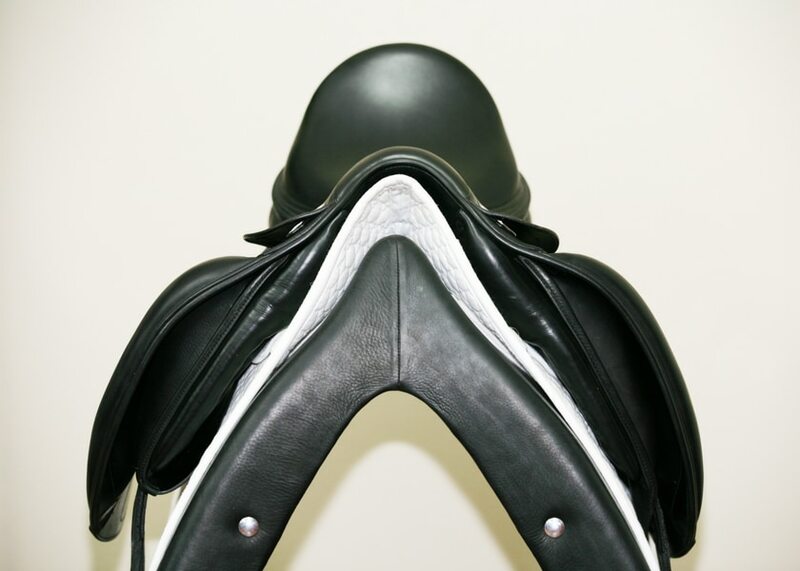 He accomplishes this by creating saddles that place the weight of the rider further forward than saddles of other manufacturers. 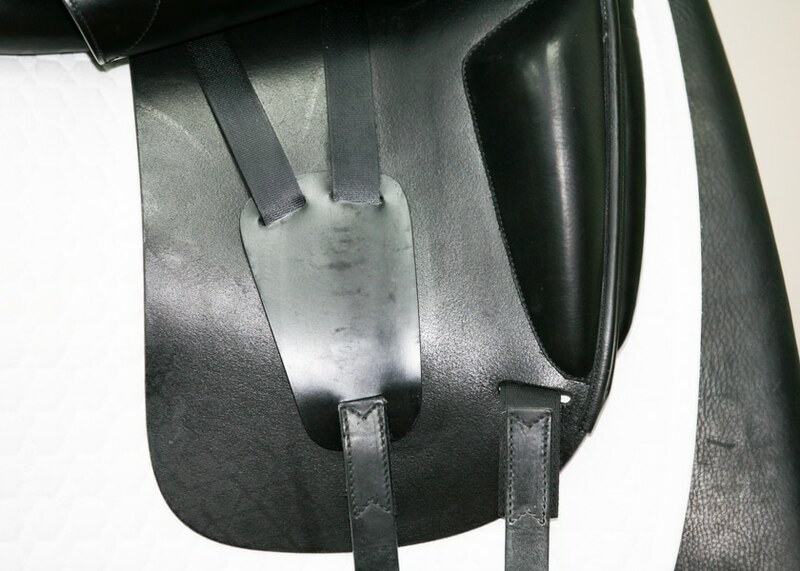 Moving the weight forward minimizes strain on the horse’s back. 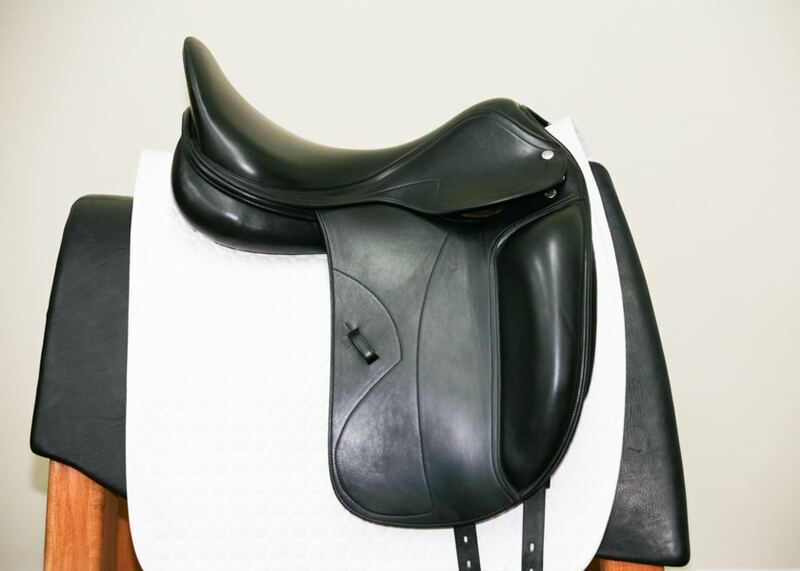 The unique seat profile of Amerigo saddles places your hips in the same position as they would be if you were standing in a balanced position on the ground. 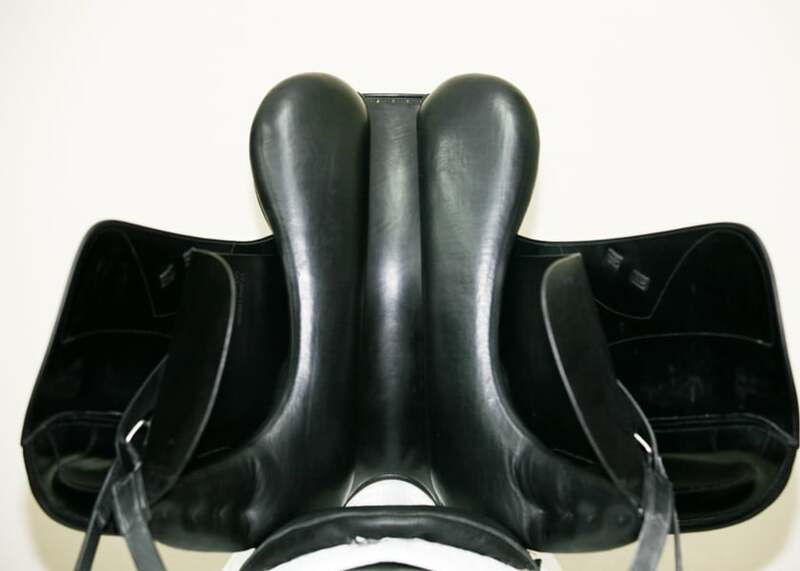 You are sitting in a relaxed, balanced way with gravity working in your favor without having to use force to hold your position.